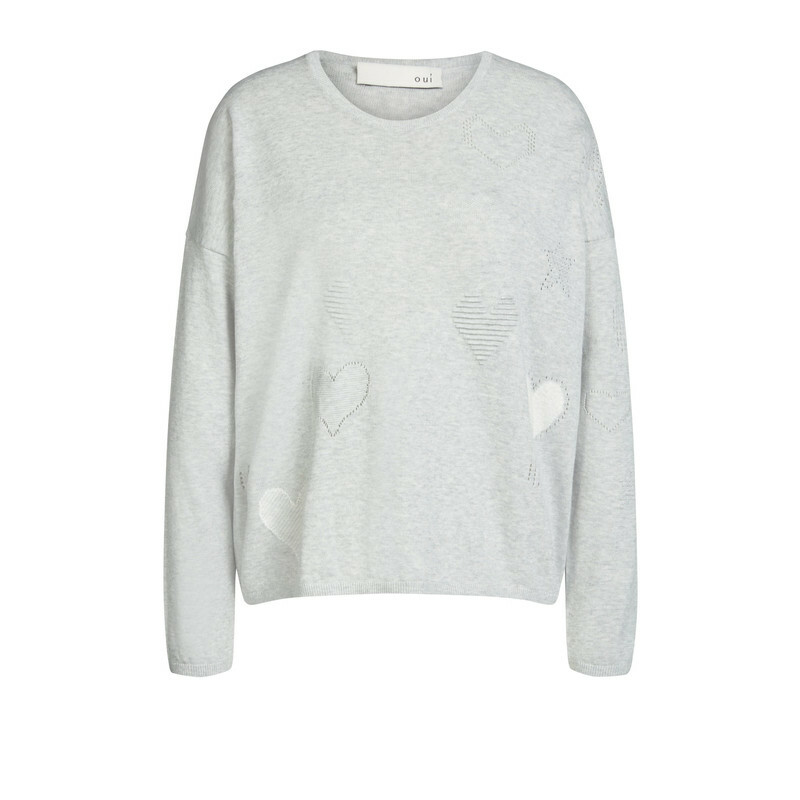 Heart Detail Jumper from Oui is a perfect knitwear piece. As shown on model, the jumper can be dressed with a white shirt underneath. There is added detail from knitted hearts and circles on the jumper. 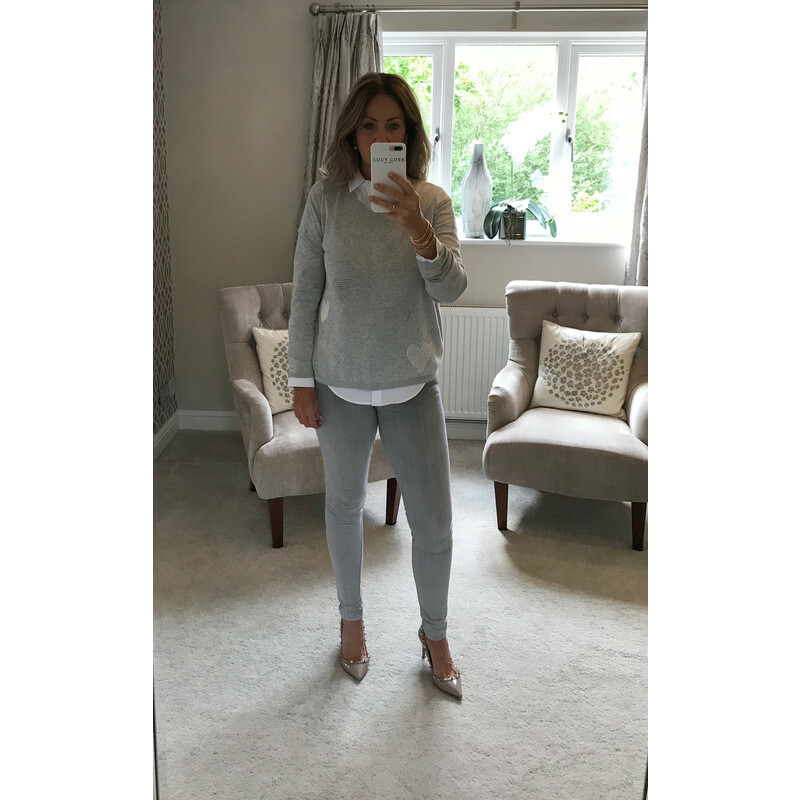 It has a round neck and a ribbed hem and neckline.